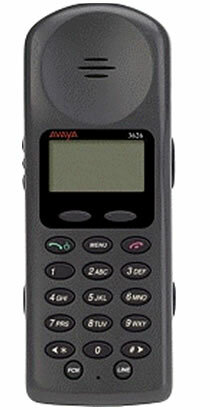 The Avaya 3626 wireless telephone is designed specifically for use in industrial workplace applications. It is extremely durable and has no moving parts, no external antenna, and no complex configuration menus. The handset has a rugged, monolithic design that gives users a large earpiece to provide comfort and seal out background noise. Despite its rugged appearance, this compact handset offers the features and accessories that you expect in a modern business phone. 4 hours talk time and 80 hours standby. Push-to-talk (walkie-talkie) feature for broadcast communications between employees.